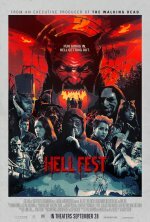 Hellfest Movie Trailers Fun going in. Hell getting out. added the tagline: "Fun going in. Hell getting out."